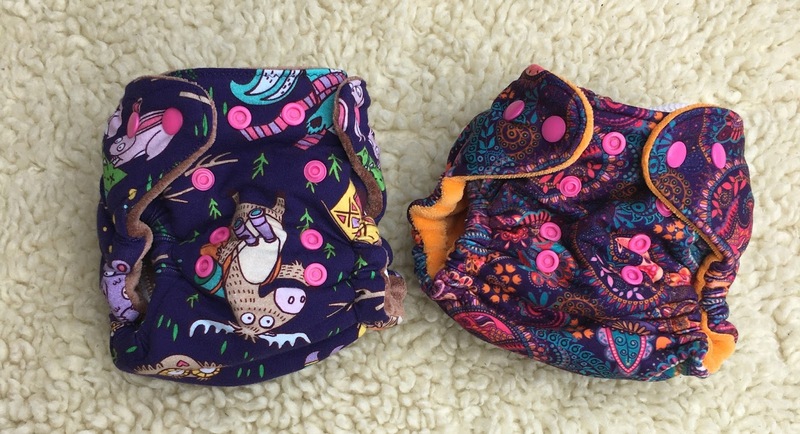 Lately, I have been super focused on sewing cloth diapers; so, today's post will be about my adventures in cloth diapering and include my tips for helping cloth diapers work for you. I have had quite the range of experiences in figuring out how to diaper! My oldest baby will be 9 right around the time my current baby is due to arrive. Our new bundle will make five children in our home! 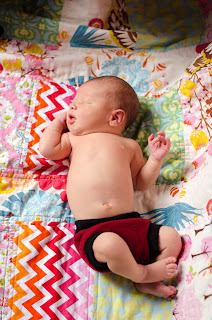 When I began researching cloth diapers when I was pregnant with my first child, I was so excited to find out how much cloth diapers had changed since my younger siblings were in diapers! After much research, I thought I had exhausted the world of opinions and came to the decision of the best cloth diaper. I did not sew more than a pillow at the time; so, I purchased 24 all-in-one Bum Genius organic diapers. I had received several packages of disposable diapers as well, and at first, alternated between disposables and cloth diapers. However, I quickly hated disposable diapers after many explosive poops landed all over my daughter and me. For some reason, this usually happened out in public, at a restaurant, and when I was totally unprepared. The cloth diapers held it all in wonderfully, though, so they always became my go-to diapering solution. When my first daughter was 13 months old, I found out I was pregnant with baby #2. I noticed the stash of Bum Genius diapers I had acquired for baby #1 were starting to be very worn, and before my due date arrived, they were completely useless. They were full of holes on the absorbent part. I had spent close to $400 on all these diapers and was told they would last through more than one child. I was so frustrated! I completely gave up, and just switched to disposables for baby #2. Thankfully, I was more prepared and did not have as many public blow outs with this baby. When my second daughter was 11 months old, I found out I was pregnant with baby #3! I realized my family was growing very fast at this point and that I need to make this cloth diaper thing work! I had begun sewing with baby #2 but did not even think to make my own diapers at this point. I still wasn't sure what worked and had not tried many different diaper types. While I was still early in my pregnancy, I began ordering just a few of several different brands of diapers. I ordered as many brands were available from the Jillian's Drawers Gently Used section. I mainly stuck to pockets and all in one styles. I was not ready for the world of fitteds and covers. It was great for me to get a few of each brand, rather than put all my eggs in one basket as I had before. I quickly found out which diapers were the better quality and fit my baby the best. By the time baby #3 was born, I had a stash of 36 fully functioning diapers and was ready to have 2 in diapers. You know how this narrative goes - And, when my third baby was 13 months old, I found out I was pregnant with baby #4. At this point, I had been sewing since I was pregnant with baby #2 and had such a better idea of what cloth diapering was about. I had been washing diapers every other day for so long that it was part of my routine. I bought Jalie 2907 on paper at my local cloth diaper store. I had several different diaper brands where the elastic was shot (I learned the hard way that vinegar ruins cloth diaper elastic!) so I took those apart and compared them to the Jalie fitted pattern. Jalie was spot on with some of the better brands. For baby #4, I mainly wanted to get better at diapering the newborn stage. A lot of the diapers I had found worked did not begin fitting until my babies were about 3 months old. Jalie's pattern had a fitted diaper pattern that was broken down into NB, 0-3, 3,6, 6-12, etc. I knew this would be perfect! It takes me about an hour and a half to make one diaper, and I ended up being able to make enough 0-3 month diapers to make it through to wash day for baby #4 . I added a snap down rise so that I could get away with only making a few sizes. The 0-3 month size (with snap down rise) fit from birth until 3 months. The 6-9 month size fit from the time the umbilical stump fell off until 9 months. A few of the diapers I made had a PUL outer and an organic bamboo fleece or terry inner. The rest of the diapers that I made for baby #4 were fitted diapers with a knit outer and a bamboo or cotton velour inner (with bamboo fleece as the absorbency). A fitted diaper does not have PUL to prevent leaks so it requires a cover. As a cover, I raided thrift stores for large men's wool sweaters, felted them, and turned them into wool shorties using this free pattern here. I found that I liked my leg cuffs and waistbands to be taller than what the pattern called for; so, often, I would add a few inches if I had the extra fabric to do so. Here is my little Aaron sporting his fitteds with a wool diaper cover. My baby #4 had just turned 3, and I thought that we were surely done. I began expanding my non-maternity wardrobe and was happy to have a waistline that stayed the same size month after month. After experiencing pregnancy loss, I also felt emotionally done with everything as well. And then, after getting rid of so many baby items, we found out we were expecting baby #5! Thankfully, after baby #4 was born, his diapers were borrowed by 2 different friends and were kept out of reach from my constant purging of baby stuff! When I received those back, I was so happy to see what great condition everything was in and was excited to sew a few more for baby #5! Now onto some photos of what I have been sewing lately.. When I sew cloth diapers, I prefer to only use snaps. Velcro diapers are much quicker for diaper changes, but I learned that Velcro can become worn and also makes for a naked toddler. All my babies figured out how to take a Velcro fastened diaper off quick! To put snaps on, I used Kam Snaps with a hand held snap press. I placed each snap 1 inch apart (measuring from the center of one snap to the next). 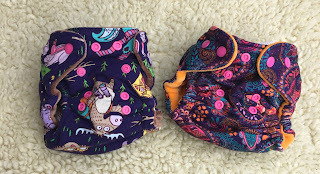 Also, here are a few of my favorite (and not made by me) Alva pocket diapers that I purchased from A Touch of Love. They are really inexpensive and usually cost around $5/diaper plus insert. These diapers do not fit until my babies are about 3 months, but once they do fit, they last until potty training. (1) Diapering requires: (a) an absorbent part and barrier outside of the absorbency to keep it from leaking out. Natural fibers are absorbent (cotton, bamboo, hemp, etc.) There are also unnatural absorbent fiber blends (like zorb and microfiber) that can hold moisture. (b) a waterproof barrier on the outside of the diaper keeps it all in. PUL is a laminated polyester-type (synthetic) fabric that is the most leakproof but not as breathable. Wool is a wonderful fabric that is natural and breathable. It absorbs and does not leak liquid. However, it can leak once it is at its max. (c) You may also need a layer next to the baby that is stay-dry. This will be an unnatural fiber that wicks the moisture away from the baby and into the absorbent part of the diaper. If your baby gets rashes, she may not be able to handle moisture staying next to her skin for very long..
(2) If your diaper leaks, check that the diaper has enough absorbency and make sure the leg and back elastic fits snuggly around the baby. If it is a good fit and is not gaping, you need more absorbency. Too stiff or too wide inserts can make it hard to get the elastic to fit well around the legs. When sewing cloth diapers or replacing elastic, I always measure the area that needs elastic and cut my elastic at 50% of this measurement. This makes for very nice fitting elastic! (3) Clean diapers do not stink. Check your wash routine if you have stinky diapers. My favorite cloth detergent brand for my hard water is Rockin Green. It also comes in a classic formula for those who do not have hard water. Do not use vinegar to freshen up your diapers! It will ruin the elastic. A diaper with shot elastic does not work. The sun is your friend and will "bleach" out a stained diaper. Just hang it to dry outside, letting the sun hit directly on the stain. Cloth diapering can be trickier in a front loader, but I have learned how to make mine work - I add a small amount of detergent to the prewash cycle. (4) My favorite online place to buy fabric for making cloth diapers is Simplifi Fabric. 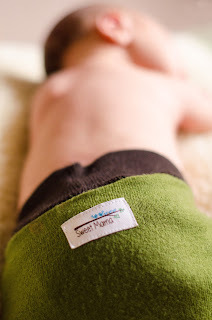 They have the softest organic fabrics that take all the heavy washing of cloth diapering and hold up year after year. You can shop their Canadian website, here, or their US website, here. There are also Facebook groups dedicated to buying cloth diaper supplies at discounted prices to stock up on items such as snaps and elastic. (5) I like to buy my wool at thrift stores. I look for large sweaters that are soft and have at least 80% of the fiber content in wool. I give them a good wash and dry to felt them. Once the weather turns cooler, I plan to find some pretty pink sweaters to upcycle for diaper covers. To care for wool, I used this video from our local cloth diaper store. It made the process very easy. (6) Don't put your eggs all in one basket. Never fully invest in one system or brand of diaper. You can end up spending lots of money on a diaper that someone else loved but does not work for your baby. (7) Have enough diapers on hand that you can wash diapers every other day (about 24). You can get away with less and wash every day, but it is so nice to have back ups if life does not allow a laundry day. Do not go more than 3 days without washing, though. (8) Get a diaper sprayer for your bathroom to help with clean up when your baby is not exclusively breastfed anymore. I ordered one similar to this one on Amazon. It was super easy for my husband to hook up and still works great after using it all the time for over 6 years! If you have made it this far, thanks for reading! Please let me know if you have any questions or problems I can help you navigate. Super informative and helpful post!